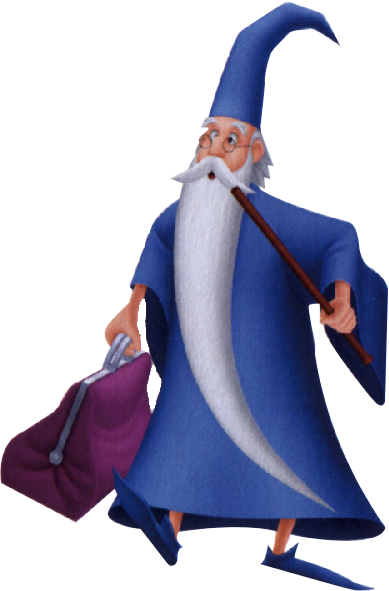 Merlin was a wizard. No small credential that. But the most fascinating thing about King Arthur’s mentor was that, according to legend, he lived his life backwards; he came from the future. You might say his life was going the wrong way down a one-way world. Poor Merlin; he already knew how things were going to turn out. If Merlin showed up on your doorstep today would you want to know what he could tell you? Not me. Where would the fun be in knowing how your plans were going to turn out before you implemented them? Whether you’re a hell-bent-for-leather entrepreneur with everything hanging in the balance on the validity of your vision, or a part-time practitioner taking a tiny chance in just one aspect of your business, wouldn’t knowing the future be, well, un-entrepreneurial? Entrepreneurs are the modern-day wizards, but in a sort of reverse-Merlin way: We come from the past to influence the future. Like Merlin, we use what we have learned to know what’s coming next. But unlike Merlin, we get to imagine and create what has never existed. Merlin had some pretty cool powers, but I would rather be an entrepreneur. In our one-way world, entrepreneurs drive forward while always keeping the rear-view mirror perspective in focus. Soren Kierkegaard, the famous 19th century Danish philosopher, spoke of this when he said, “Life can only be understood backwards, but it must be lived forwards.” Sounds like he knew us, doesn’t it? Now go pull that sword out of the stone. You can do it! So, from this response are you now to think that simply allowing service to be delivered is some sort of problem you’ve created, for which forgiveness should be granted? Should you feel relief that you’ve been redeemed by this person with “No problem” absolution? Well, my friends, let’s get one thing straight: No problem is a problem. When small business employees say no problem to a customer instead of you’re welcome, it’s a serious problem that over time could be the equivalent of a business death wish. Now that we’ve established the enormity and consequences of these answers, are you sure that no employee of yours ever causes one of your customers to think — even subliminally — that the mere fact that they do business with you could be some kind of problem? In The Age of the Customer, the only thing unique about your relationship with a customer is the experience they have with you — how they FEEL about doing business with you. Everything else is a commodity. Everything! So, pray tell, in what universe does “no problem” help your business maximize the positive emotions of an excellent customer experience? Stop saying it, and train your employees to stop saying it. If success is your goal, this is non-negotiable! There must be 39 different ways in the English language to express your delight in serving a customer without saying “no problem.” Use one of them. Write this on a rock… In The Age of the Customer, “Thank you” is golden, “No problem” is a problem. RESULTS: Do you read business books, either ebooks or physical? Do you read business books, either ebooks or physical? 52% — I still buy and read business books. 14% — I no longer buy or read business books. 16% — I will buy and read a book if it’s recommended by a friend. 18% — I will read a business book if it’s a gift. 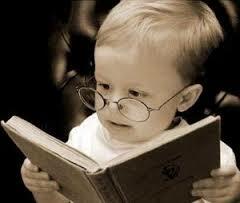 Whether purchased or not, 86% of our respondents read business books. As an author of business books, these results make me very happy, even if 16% only buy a business book if it’s recommended and 18% wait until someone gives them a copy. These days, with so much information available online, it’s not unreasonable to believe you can get what you need for free from a website or blog instead of paying for a book. In fact, on both of my two websites you can read a lot of what is in my new book for free. But articles and blog posts don’t accomplish the complete experience and impact an author delivers between the two covers of a book. Don’t be afraid to show passion for your ideas. Allowing employees to see passion and conviction in our words, actions, and style is a good thing. It’s also contagious. The marketplace is rude, indifferent to our very existence let alone whether we succeed or fail. Perfection has never been attainable by mere mortals. 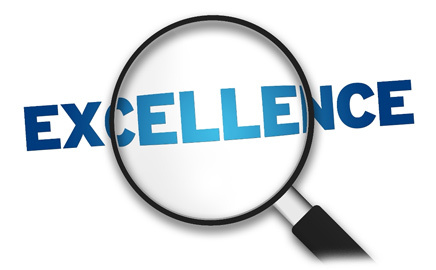 Excellence is possible, but only those with high standards are capable of achieving it and only as a result of positive critical evaluation of our own efforts and those we manage. People work best when they know there is a safe harbor — where redemption is available to those who fail while trying their best and where they will be encouraged to continue to take initiative in the quest for excellence. This entrepreneur’s lament is one of the great ironies of the marketplace; a small business in danger of failure as a result of extreme success. Beware Blasingame’s 2nd Law of Small Business: It’s redundant to say, “undercapitalized small business.” This maxim is especially true for growing small companies because sales volume growth depletes cash in two dramatic but predictable ways. 1. When the business is growing, organizational upgrades are to be expected in order to handle the new demands: new vehicles, staff, technology, etc. Of course, you must fund these things, often before the newfound success has made it to the bank. 2. Selling to customers on an open account—where payment for work or products is collected after delivery—is essentially making loans to customers. And while it’s true that vendors may let you do the same, typically they allow less time to pay than you allow your customers. The difference between when you pay and when you collect creates a negative cash condition. Here’s how to manage these challenges. 1. Growth plans must be compatible with the ability to fund that growth. Too often we think the big growth hurdle is getting customers to say yes. But the impact of sales growth on cash flow must consider before delivering a proposal. If you can’t fund the opportunity, you shouldn’t go after it. 2. Don’t use operating cash to fund acquisition of capital assets, like equipment, etc. Capital purchases should probably be funded by bank debt, and the interest is the cost of Blasingame’s 2nd Law. If you don’t like debt or paying interest, that should motivate you to leave profits in the business as retained earnings, which is the best way to overcome being undercapitalized. 3. Monitor the relationship between AR & AP. Understanding the relationship between Accounts Receivable Days and Accounts Payable Days is an “a-ha” moment for every business owner. This ratio must be monitored for sustainable growth. Write this on a rock … It is possible to succeed yourself out of business. RESULTS: Which July sporting event are you most interested in? July has several overlapping major sporting events. Which one are you most interested in? July is always a big month for global sports: Three sports, golf, tennis and bike racing, all conduct their pinnacle contest during July every year. And the year you add soccer’s World Cup four-year cycle to the mix, it can really test the time, attention and DVRs of even the most ardent of sports fans, like me. I was surprised by two things in our poll this week. First, that viewers of the four sports are relatively evenly divided, and second, that almost half of our respondents are not interested in any of the sports. I voted for the British Open. Our polling platform only allows five options, but I wanted six. The sixth choice would have been “All of the above,” which, much to my wife’s chagrin, is what I would have chosen.